Robotic rehabilitation has been a strong focus for several years. the ability to monitor and steer the patient's rehabilitation process. 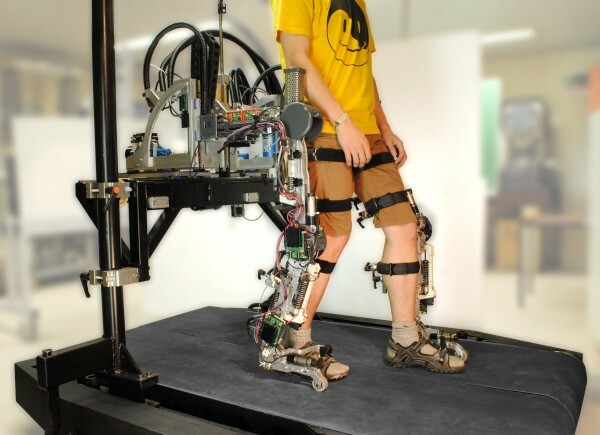 Improvements in gait and balance related outcome measurements after robot-assisted gait training have been reported in the literature for patients with spinal cord injury, Parkinson’s disease, multiple sclerosis and stroke. We believe that in the future the impact of robot-assistance in neurological rehabilitation will increase enormously. RERE-NEURO onderzoekt de effectiviteit van revalidatie en rehabilitatie robots en de psychologische aspecten ervan.